Jai Fulford is the owner of a Goosehead Franchise located in Lubbock, Texas. Jai and the Goosehead support team help his clients in Lubbock and all over Texas find the best insurance coverage for their needs. Your insurance needs are different from your neighbor’s. By having our professional team work on your behalf, we shop the entire Texas insurance market for you. Jai has been working in the insurance industry since 1998. 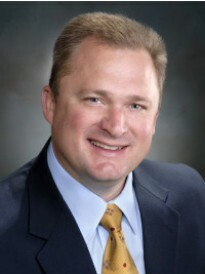 He started a Farmers Insurance agency in 2006, specializing in personal lines and superior client service. As his agency and clients’ needs grew, Jai made a strategic decision to sell his Farmers agency and join the Goosehead team in 2014. Now he is working with the top rated local and national insurance companies. Jai and his team will present to you the best product that matches your needs and protection requirements. Protecting each of our clients’ families, lifestyle, and tangible assets is Jai’s and Goosehead’s top priorities. Contact Jai today to discuss your insurance needs. As Jai likes to say, “I can’t wait to talk to the next client to share what we have to offer.” Outside of work, Jai enjoys spending time with his family and watching his three kids in their activities.